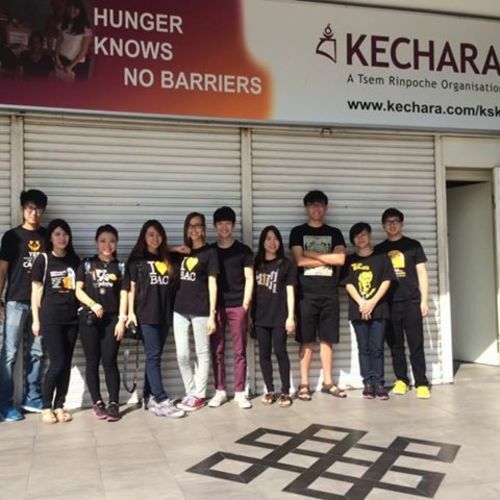 Kechara Soup Kitchen has been serving the community of Malaysia since 2006. We help poor families, homeless people and residents of shelter homes in Kuala Lumpur, Penang, Johor Bahru, Perak and Melaka via food and welfare aid to help them to be financially independent. Kechara Soup Kitchen runs a soup kitchen and food bank at the same time. However, a lot of our work is not necessarily about food. Food is one aspect that we use to keep in contact and form a relationship with our clients to help them open up and see how we can help them to be financially independent through job matching, skills training, rehabilitation programs, sheltering and much more. We have benefited over 1,500 homeless people nationwide and 350 poor families through our food bank and soup kitchen projects.